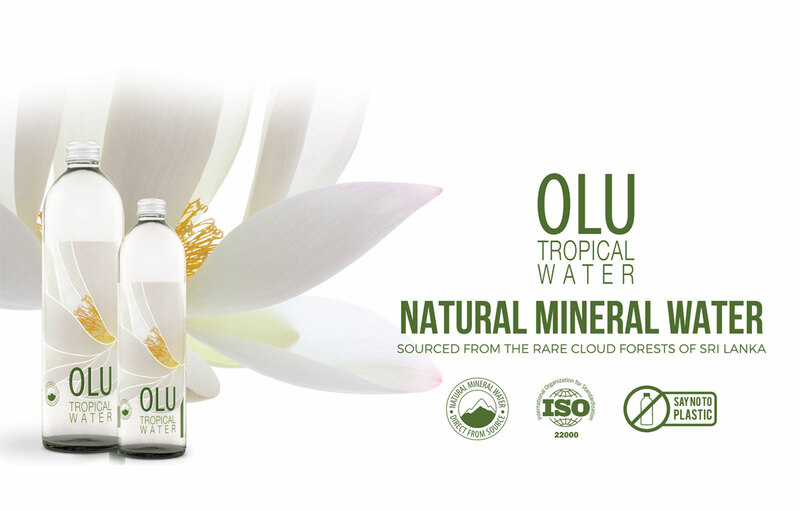 In a groundbreaking move, Sri Lankan natural mineral water brand Olu Tropical Water has committed to only using glass bottles for all new products, effectively discontinuing the high volume PET packaged SKUs. An expensive yet necessary move, the change is in keeping with the company’s dedication to conserving Sri Lanka’s natural wealth and environment. Part of the Rockland Distilleries group, Olu Tropical Water launched in 2015 with an initial product offering in 500ml and 1000ml PET packaging. Glass variants were eventually introduced in the years that followed. The Olu brand was an idea conceived by the PET Bottle Company (Pvt) Ltd, which was established in 1991. The company received Pioneer Status by the Government of Sri Lanka for being the first manufacturer of PET bottles for packaging. At the time of the company’s inception, PET was widely used worldwide for its economic benefit, convenience and durability. In that period, procedure called for empty PET packaging to be returned either to be recycled or incinerated. Studies at the time actually touted PET as a sustainable environmental alternative, unsuspecting of the long-term repercussions to come. As science began to debunk this claim, awareness began to spread of the alarming extent of waste plastics and plastic particles choking oceans and landfills. “Given the negative and irreversible effect of PET on the environment, Olu Tropical Water has shut down the it’s PET bottling facility and discontinued its two PET based products effective immediately, relying solely on the glass variants.” said Shalindri Malawana – General Manager. While the steeper prices of production and distribution spelled potential financial strain, the company decided to absorb any staff that would have been redundant due to the closure into the larger Rockland group of companies. The owning company also declared all PET bottle manufacturing machinery dead assets and will soon be renamed, moving forward as a company truly committed to sustainable business practices. Throughout the movement from plastic to glass, Olu Tropical Water is appreciative of loyal customers – both individuals and businesses who have stood by the environmental effort – as it is strongly indicative of a united moral front in Sri Lanka.